President Donald Trump's 2017 inaugural committee is being investigated by federal prosecutors in NY over allegations that it misspent funds or accepted donations in exchange for access to his administration, according to a media report. Prosecutors also are looking into whether donors to the inaugural fund gave money in hopes of gaining access to the administration or influence over policy or administration positions, which the Journal notes is illegal. Federal election law requires a cooling-off period of at least 120 days before campaign staff members join a political committee backing the same candidate, but Manafort dispatched two friends from the campaign, Laurance Gay and Ken McKay, to run the operation. The investigation into the inaugural committee partly stemmed from materials seized in a probe into the dealings of former Trump lawyer Michael Cohen, the Journal reported. The newspapers reported that an Federal Bureau of Investigation search of Cohen's office and home last spring uncovered a recorded conversation between the lawyer and Stephanie Winston Wolkoff, a former adviser to Melania Trump who ran companies that were paid $26 million by the inaugural committee. In the recording, Wolkoff expressed concern about how the inaugural committee was spending money, according to The Journal. The inquiry, which the newspaper said is in its early stages, is also focused on whether the inauguration committee misspent some of the $107 million it raised to stage events celebrating Trump's inauguration. "We are not aware of any evidence the investigation the Journal is reporting actually exists", the committee said in a statement. Billionaire Thomas Barrack Jr. headed the inauguration committee, and has reportedly not been approached by investigators. As if being placed in the room where the scheme to pay off the women was not enough, Trump now faces another investigation (in addition to the ones being conducted by the US Attorney's Office in the Southern District of NY concerning the hush-money payments, and the special counsel's investigation of possible collusion and obstruction of justice). 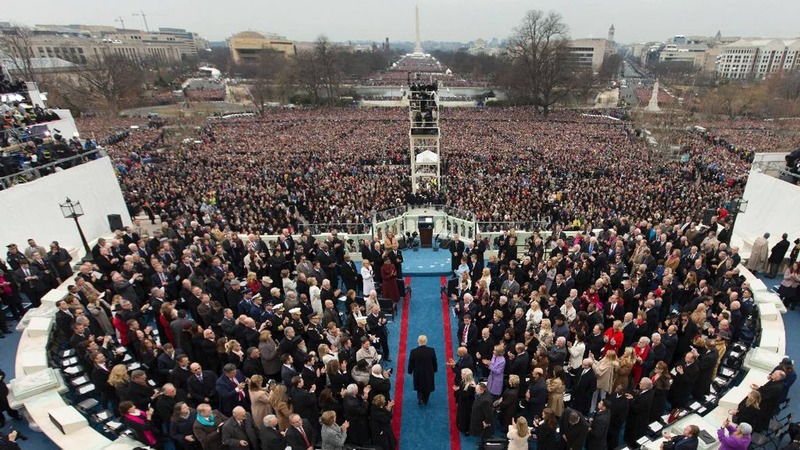 And this year, a well-known Republican lobbyist, Sam Patten, pleaded guilty to arranging for a Ukrainian oligarch and another foreigner to buy $50,000 worth of tickets to an inaugural event, using an American as a straw purchaser. Among other issues, they asked about a Mediterranean cruise that Barrack and Manafort took after Manafort was sacked in August 2016 from the Trump campaign because of a scandal over his previous work for pro-Russian politicians in Ukraine.